Performance is the foundation of your corvette. Vettestorations’ mechanics are certified master mechanics and can fulfill your repair or performance requirements. Your frame or structural issue can be addressed, from a minor refurbish to a major frame re-construction. 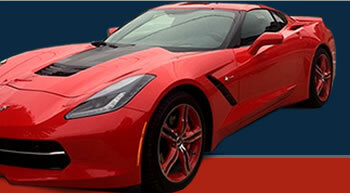 A variety of services for your Corvette are offered at Vettestorations, such as transmission service/ rebuild/ replacement and clutch repair, engine tuning/rebuild (stock or high performance) replacement, suspension replacement, cooling system and radiator service, rear differential service, brake service (using state of the art equipment, such as our on-car brake lathe to turn rotors, saving you money), electrical repair, alignments, air conditioning service (including retrofitting to R134 if necessary), and exhaust repair. Of course we also offer your corvette routine maintenance. or chassis need you may have. Stop by today to tour our facility and receive an estimate! "I have been a customer of Vettestorations for close to six years. During that time Mark and Isaly have provided me and my car with outstanding service. Mark is the best corvette mechanic I have ever worked with. He has taken a very considered and logical approach to restoring my 1966 Corvette. When I purchased the car back in the summer of 2001, it needed a lot of mechanical work. However, now six years later, it is truly incredible how well the car runs. 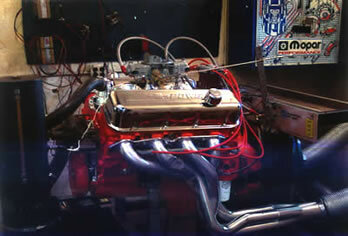 In fact, I just took it out over the weekend and marveled at how smooth the engine ran and how well it performed." Coming back from Lake Michigan, we had the cruise control set at 75 mph, when a kayak tore loose from the top of an SUV in front of us. It flew maybe thirty feet in the air, flipping end over end until it knifed straight down. I veered hard left, then right and punched it. The vette threw our heads back with the burst of speed, and we aimed for a spot just beneath the kayak before it slammed into the cement behind us. The guy behind us was lucky he caught it in the grill and not his windshield......but the kayak then shattered into three big pieces and damaged other vehicles who could not steer out of the way. Your performance updates and maintenance repairs performed on our corvette saved our lives this weekend.